I've recently accepted the fact that I'm never happy with my paperless setup, and this freed me from the burden of feeling bad whenever I'm trying different apps to scan documents and archive them online. 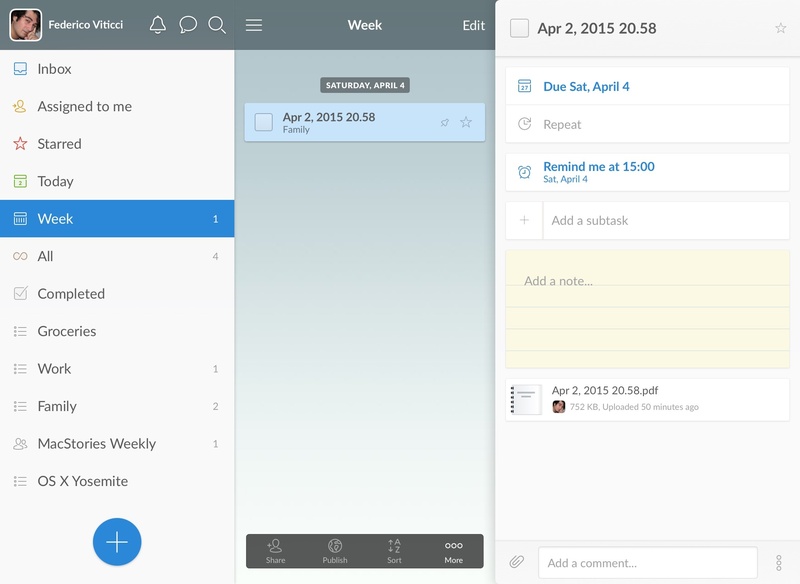 One of the apps I'm trying alongside Evernote Scannable is Scanbot, which has received some interesting updates over the past few months (such as themes and smart naming features). Today, Scanbot was updated with Slack and Wunderlist support, and I'm a fan of these integrations. The idea of pairing a scanner app with a task manager is seemingly unnecessary, but, after trying it, I think it makes perfect sense. One of my (many) problems with diligence and paperless is remembering to act on documents after I've scanned them. I often need to send an invoice to my accountant or share a receipt with my girlfriend, and instead the document just sits there in my Evernote inbox for weeks. The ability to automatically upload a PDF to a todo app such as Wunderlist makes the resulting document actionable and visible alongside other tasks. This is probably what Evernote was after with its Reminders feature, but it's easier with a dedicated app people already use for their todo lists. A Scanbot document as a task in Wunderlist, with a reminder. I don't use Wunderlist (I would love to see Scanbot add Todoist support), but I have an account and I was curious to check out this option. Wunderlist is nicely integrated with Scanbot: by default, it can be set as an automatic upload destination, which means you'll end up with a task that contains an attachment after scanning a document. Then, when reviewing the scan in Scanbot, you'll be able to set a reminder for it, which will be assigned to the same task the app created in Wunderlist. It's a seamless integration, and it's tastefully implemented in Scanbot. Scanbot doesn't have the impressive engine of Scannable and it's not as fast, but I'm liking the direction they've taken with integrations, reminders, and smart naming (make sure to check out the updated settings in the new version). I'm extremely forgetful when it comes to managing physical documents, and integrating with other services is a neat way to turn scans into actions. 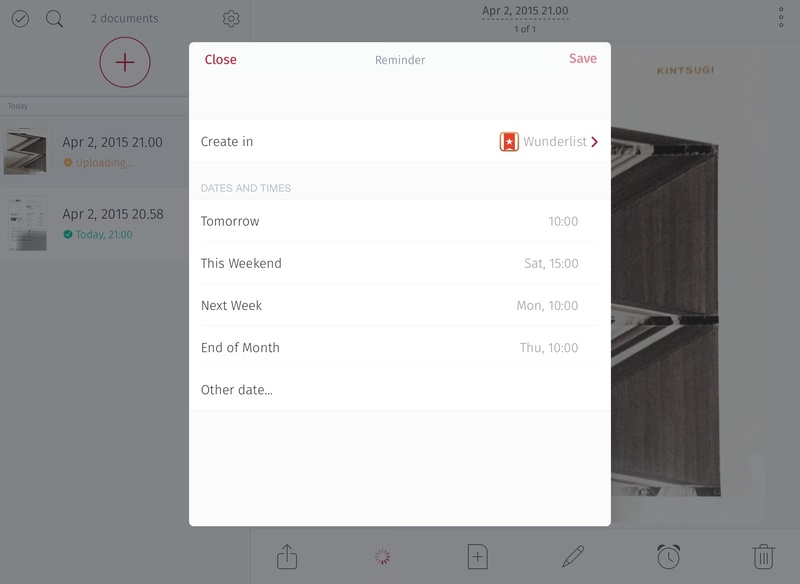 Scanbot is free on the App Store, with smart naming and Wunderlist reminders available as part of the app's Pro purchase.